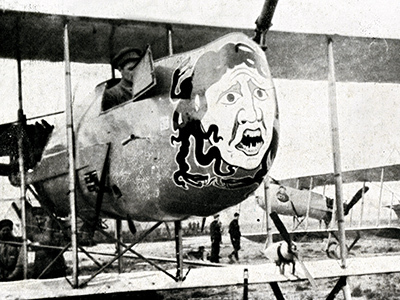 With a twist of dark humour, these Belgian planes have been painted for extra fighting spirit. 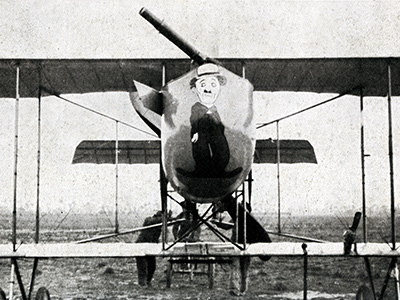 One shows comedian Charlie Chaplin, superstar of the early cinema. The newspaper commented on the oddity, as ‘one more testimonial to the universality of fame which a really humorous and original player commands’. The second plane bears an image of Medusa, the mythical creature who turned people to stone on sight. You can read a full description of these planes here, in the original newspaper report.